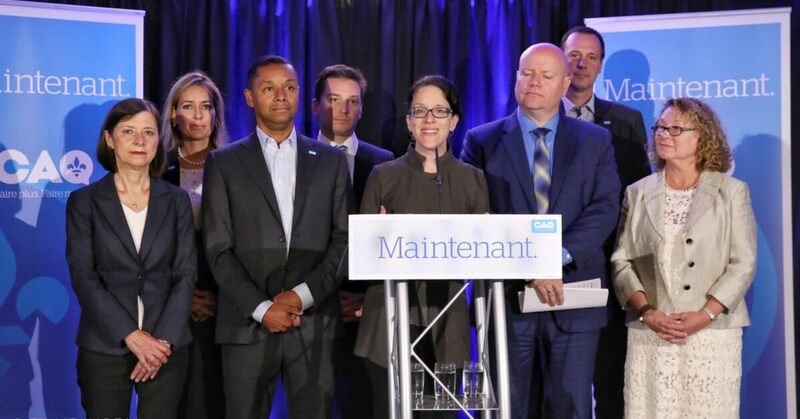 Speaking together, CAQ candidates for Champlain, Taillon and Vachon, Sonia Lebel, Lionel Carmant and Ian Lafrenière announced Coalition Avenir Québec planned measures to protect young people from the risks associated with legalization of marijuana for recreative use. A CAQ government will adopt a uniform regulatory framework prohibiting cannabis consumption in all public spaces. “If we don’t boot out the Liberal government, there will be a thousand different bylaws in a thousand Québec municipalities. It is one minute to midnight to ban marijuana consumption in public!”, cried out Sonia Lebel. Furthermore, François Legault’s party intends to set 21 years old as the minimum legal age to purchase, possess and consume marijuana and to prohibit opening SQDC outlets near schools.